Charlie Angus participates in the first debate of the federal NDP leadership race in Ottawa on Sunday, March 12, 2017. 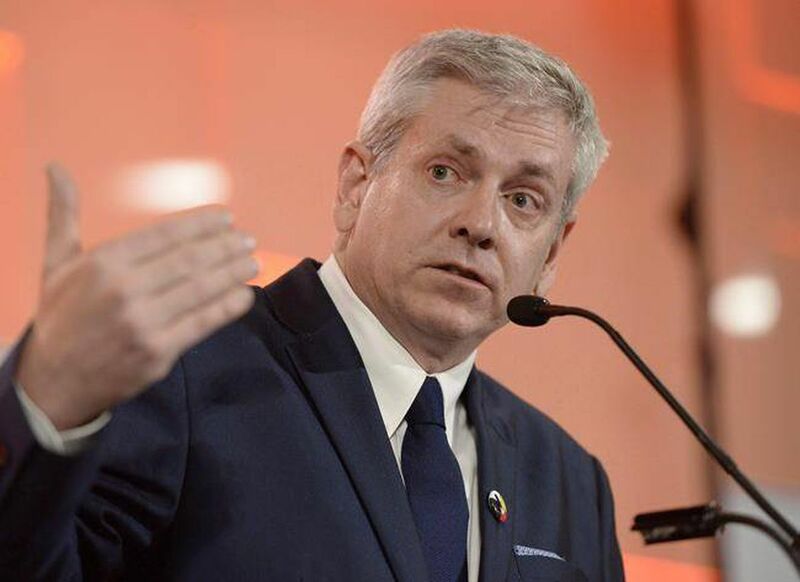 The NDP came closest to forming government when it nearly swept Quebec in 2011, but the province has now largely turned its back on the social-democratic party and tuned out of its ongoing leadership race, a new Léger poll has found. Asked who they would prefer as the next leader of the NDP, 80 per cent of Quebeckers said they did not know (58 per cent) or refused to select (22 per cent) one of the four candidates in the race. While a large number of Quebeckers were unaware of Ontario MPP Jagmeet Singh's candidacy, a sizable portion said they would be more reluctant to support a Sikh who wears a turban in the next election. While 55 per cent of respondents said they would not be affected by Mr. Singh's religious headgear, 28 per cent said it would "discourage" them from supporting him. The poll found the only Quebec MP in the race, Guy Caron, was the preferred candidate of 10 per cent of respondents in his home province, ahead of Mr. Singh (4 per cent), Ontario MP Charlie Angus (3 per cent) and Manitoba MP Niki Ashton (2 per cent). NDP members will start voting for a new leader in mid-September, but 68 per cent of Quebeckers said they were not interested in the race to replace Tom Mulcair. The poll is being released just before the NDP holds a French-only debate in Montreal on Sunday. The numbers stand to dampen the hopes of anyone trying to replicate the party's breakthrough in the province six years ago, when then-leader Jack Layton struck a chord with Quebeckers with his folksy demeanour. "These are very discouraging numbers for the NDP in Quebec," said Christian Bourque, executive vice-president at Léger. "The least we can say is that the 2011 Orange Wave is a distant memory." The NDP won 59 seats in Quebec in 2011, but that number fell to 16 in 2015 as the Liberals came back to power. Over all, the Liberal Party of Canada remains the dominant political force in Quebec with 43-per-cent support, well ahead of the NDP (19 per cent), the Bloc Québécois (16 per cent) and the Conservative Party (15 per cent). Mr. Caron released a platform focused on Quebec issues this week, saying his party suffered in the 2015 election from a lack of a specific policies to attract support in the province. He said a future NDP government should be willing to enter into constitutional negotiations with Quebec and should respect the province's right to enact legislation to ban face coverings for those giving or receiving government services. "Being strong in Quebec is crucial to being able to convince people throughout the country that we are in a position to form the next government," he said in an interview. "Losing our roots in the province would be a clear setback and negate the work that was accomplished by Jack." Mr. Caron, who is bilingual, said Sunday's debate will be a clear test for the other candidates from outside Quebec to showcase their abilities in French. Ms. Ashton said she is confident her support in progressive circles, namely among various activist groups, can grow across the province. "I've definitely seen an appetite for rebuilding the party, and particularly rebuilding the party based on progressive values," said Ms. Ashton, who is a product of French-immersion classes. Mr. Angus said he is confident he can win back the support of Quebeckers that was first obtained by Mr. Layton, who represented a Toronto riding in the House. "Jack made a commitment to build the party in Quebec, and I'm committed to carrying that vision forward," said Mr. Angus, who is still working on his French-language skills. "What the Quebec section [of the party] and the Quebec population are looking for is a leader who understands the Quebec perspective, but who can also bring that perspective to the rest of the country." The Léger poll of 1,002 Quebeckers was conducted between Monday and Thursday of this week, offering a margin of error of three percentage points, 19 times out of 20.